I will admit upfront that I am involved with Boston Progress Radio. But I still think it's a worthwhile endeavor. In my unbiased opinion. The goal of Boston Progress Radio is to provide a space for community to develop around Asian American independent musicians. Ever feel like you're at a loss for finding Asian American artists? Too quiet at work and need something to pick you up? Looking for some music that speaks to your experience? 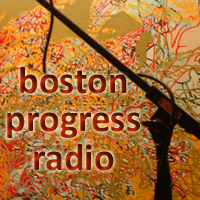 Boston Progress Radio is now both a blog and an online radio station. To tune in, please use the following link. You will need a player capable of playing MP3 streams (e.g., iTunes or Winamp). There's not a ton of artists up there yet (I'm only starting to learn about the craziness of getting rights to music etc.) - but there's already some good stuff up there. Yes, there's definitely the politicized hip-hop that i enjoy blasting at work, but there're also some great singer-songwriters, and a little bit of everything in between. Stop by, drop a comment, and let us know what you think.